4 easy steps to making a great first impression over email! Sending an email seems like a simple enough task. We all do it, whether it’s to a colleague, a family member, a boss or a potential employer, and for the majority of us it’s the most common way of communicating in regards to business inquiries. Though emails aren’t typically as formal as letters, they’re still required to be professional and concise enough to portray yourself and whoever you’re representing in a good light. 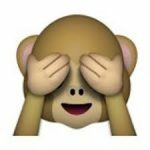 Everyone loves a good emoji (my personal fave is the monkey covering its eyes) and chatting to your friends is one thing – but talking to someone who could potentially hire you is another thing entirely. So how do you make sure your email is good enough to be sent off? Just follow these simple guidelines and you’ll be good to go! Never leave your subject line blank, and always make sure that it’s relevant to the email you’re sending, not just ‘Thank you’ or ‘Important!’ As long as it makes sense and is to the point, then you’re all good. Starting with a greeting is always the right route to go down, regardless of who the email is for. You shouldn’t use their first name unless you’ve met them and know them personally. If your relationship with the recipient of the email is formal, then use their surname and whatever title is applicable for that instance. For example, Mr Ahmed or Ms/Miss Day would both be suitable if you’re strangers. If you don’t know the name of the person you’re writing to at all, then you should simply use; ‘Dear Madam/Sir’, or ‘To whom it may concern’. Your main point or reason for emailing should be stated within the first sentence of your email. Don’t be too vague about it and get straight to the point, rather than rambling on. Then you move onto another paragraph to talk about any other additional information you may need to include in the email. However, try not to waffle too much and don’t get too personal. Generally, most people don’t enjoy reading long emails so keep it succinct, short and relevant from the get go. Imagine how uncomfortable it would be for you to have to read a long detailed email about a colleague’s recent breakup or their upcoming doctor’s appointments – so don’t make those easy to avoid mistakes! Before ending the email with your name, always make sure to include a polite wrap up. ‘Thank you for your time and I look forward to hearing from you’ is one that is commonly used but does work nonetheless. After that you end it with either ‘Kind Regards’ or ‘Yours sincerely’ as they are both professional, and particularly if you don’t personally know the person getting the email. Then you put both your first and second name and that’s that. Finally, before sending it off, read over the whole thing and double check your grammar and spelling. If you’re someone who isn’t that great with their spelling, or English isn’t your first language, then getting a friend or someone else to proofread it is always a good idea. Then you’ve got nothing left to worry about and you can send it off! This may all seem a bit trivial to you and you might be wondering ‘what does one lousy email matter in the grand scheme of things?’ But it’s more than just an email. It’s common knowledge that first impressions are really important and that people have an opinion on you within the first 30 seconds of meeting you, whether it’s a good or bad one. In a way, emails are the first ‘impression’ your employer or potential employer will have of you so make sure to make it a great and memorable one. It’s the first step, giving you an amazing opportunity to make a fantastic impression and I know you can do it!